If this card is removed from play, you can add 1 "Dimensional" card from your Deck to your hand, except "Dimensional Breaker". You can only use this effect of "Dimensional Breaker" once per turn. 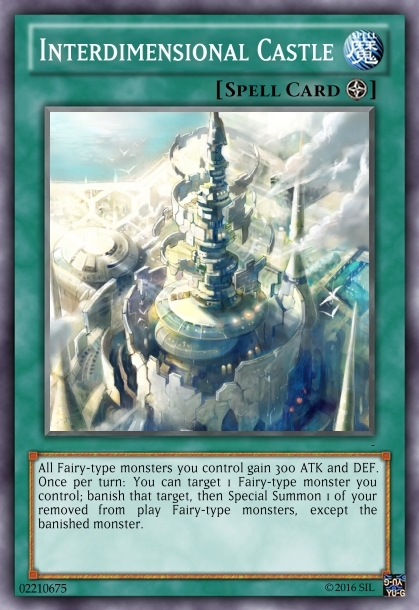 If this card is banished, you can target 2 of your removed from play "Dimensional" monsters other than this card; Special Summon those targets in face-up Defense Position, but monsters you control cannot attack for the rest of this turn, except "Dimensional" monsters. You can only use this effect of "Dimensional Warrior" once per turn. 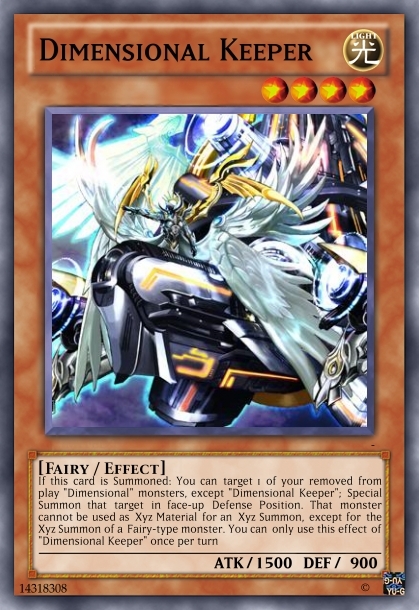 If this card is Summoned: You can target 1 of your removed from play "Dimensional" monsters, except "Dimensional Keeper"; Special Summon that target in face-up Defense Position. That monster cannot be used as Xyz Material for an Xyz Summon, except for the Xyz Summon of a Fairy-type monster. You can only use this effect of "Dimensional Keeper" once per turn. 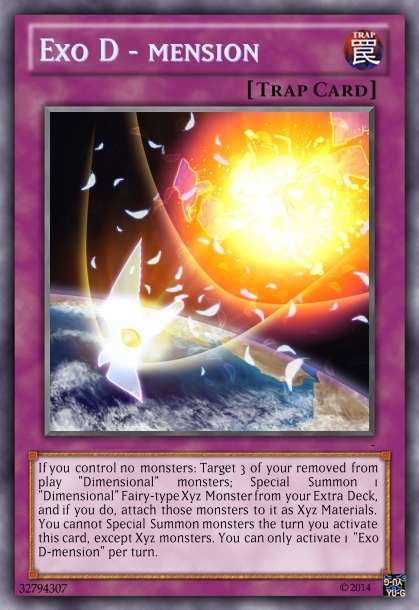 While this card has Xyz Material, "Dimensional" cards you control cannot be destroyed by card effects. Once per turn: You can detach 1 Xyz Material from this card; remove from play up to 2 "Dimensional" monsters from your hand and/or your side of the field, then destroy an equal number of cards on your opponent's side of the field. Any card sent to the Graveyard is banished instead. 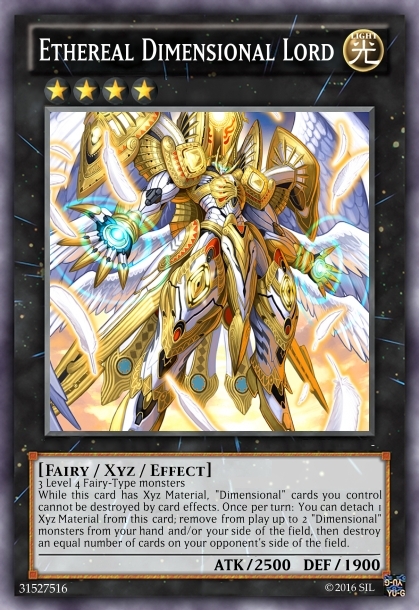 If this card is banished while it has Xyz Material: You can Special Summon this banished card, then you can attach 1 of your removed from play "Dimensional" Xyz monsters to this card as an Xyz Material. 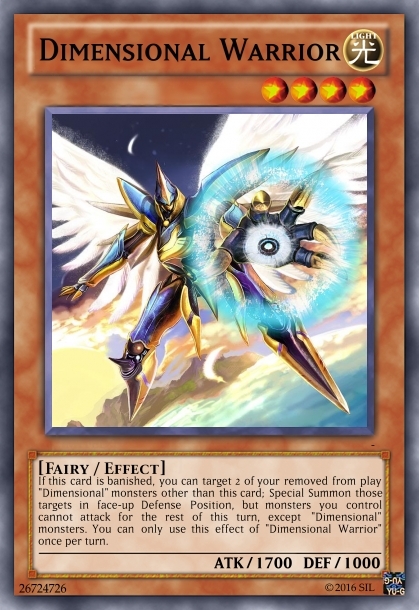 Once per turn: You can detach 1 Xyz Material from this card, then target 1 card on the field; banish that target. 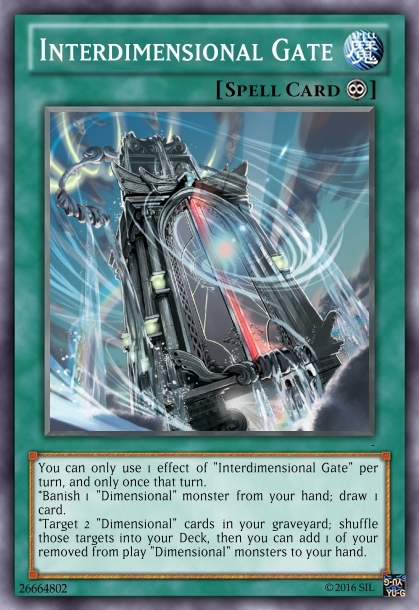 You can only use 1 effect of "Interdimensional Gate" per turn, and only once that turn. 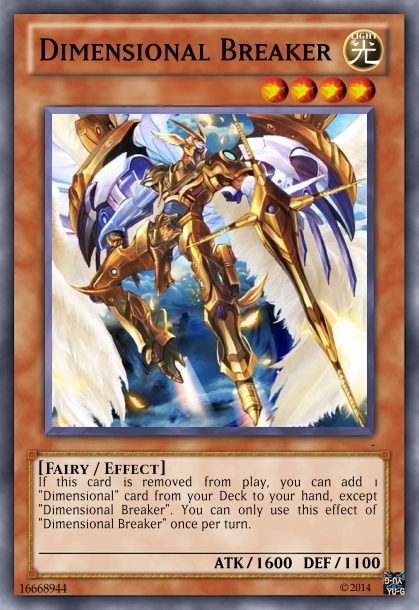 *Banish 1 "Dimensional" monster from your hand; draw 1 card. *Target 2 "Dimensional" cards in your graveyard; shuffle those targets into your Deck, then you can add 1 of your removed from play "Dimensional" monsters to your hand. All Fairy-type monsters you control gain 300 ATK and DEF. Once per turn: You can target 1 Fairy-type monster you control; banish that target, then Special Summon 1 of your removed from play Fairy-type monsters, except the banished monster. 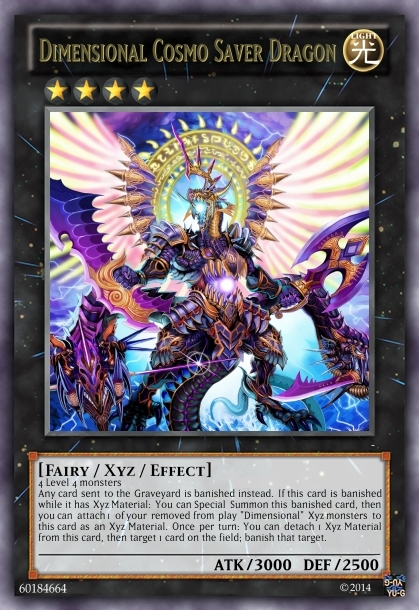 If you control no monsters: Target 3 of your removed from play "Dimensional" monsters; Special Summon 1 "Dimensional" Fairy-type Xyz Monster from your Extra Deck, and if you do, attach those monsters to it as Xyz Materials. 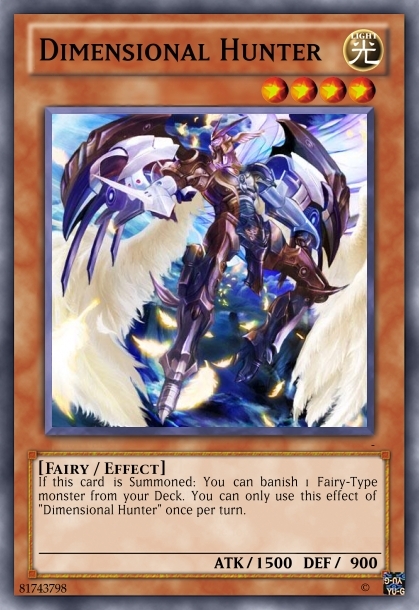 You cannot Special Summon monsters the turn you activate this card, except Xyz monsters. You can only activate 1 "Exo D-mension" per turn. *Claps* even the images are really pretty. Good work! Just to ask- why do you use both the terms banished and removed from play? i want to know were you got the images from. 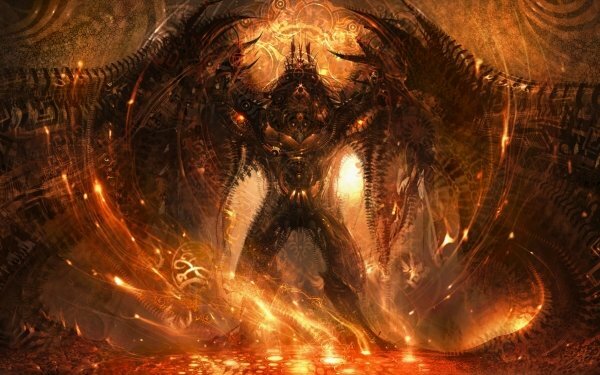 fear GARALANDOLF the king of demise run or hide do whatever you wish to keep yourself alive for he shall still find you! Will do as soon as I stop being so stupid lazy .